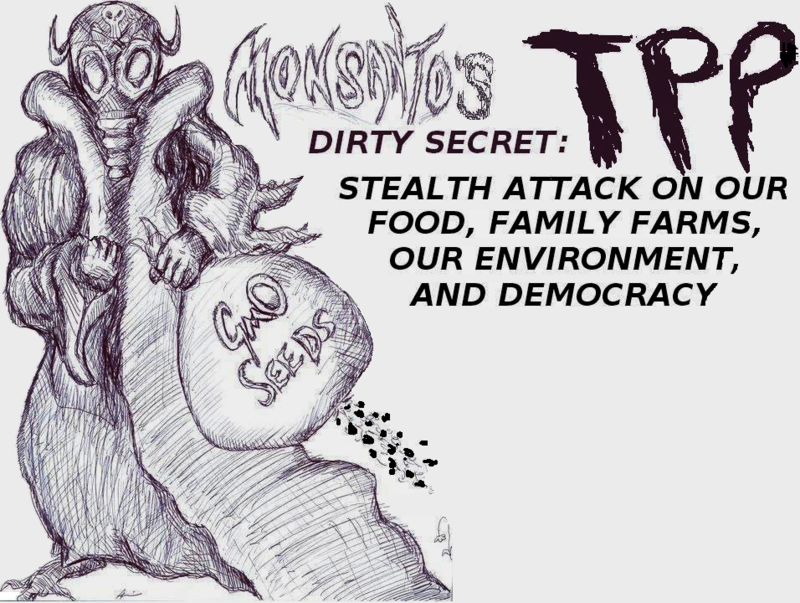 GJAE Activists Expose the Monsanto-TPP Connection at the Oct 12 Worldwide March Against Monsanto! On Saturday, October 12th, activists around the world took to the streets to protest Monsanto's contribution to global hunger, poverty, and environmental destruction. GJAE activists and our allies were at many of these events to let marchers and the public know that Monsanto is one of the major backers of TPP. As a member of the US Business Roundtable for TPP, Monsanto is pushing for an agreement that will force countries to lift their bans on foods containing genetically modified organisms (GMOs) and that may even restrict GMO labelling! Join GJAE on October 12th to let anti-Monsanto activists know that fighting TPP is a critical part of the fight against Monsanto! View photos of the March in NYC. Watch video from the rally against Monsanto - GJAE's Adam Weissman speaks on the Monsanto/TPP connection @ 19:07. Learn more with this online slide presentation. Take action right now with this online action alert from Food Democracy Now! Print copies of this factsheet on GMOs and TPP to distribute. Print copies of this form letter and get people to sign it. There are two letters on a page, so you can cut them and mount a stack on a clipboard. We recommend bringing a bunch of clipboards so you can keep passing additional them out while people are signing the ones you've already passed out. Half-sized clipboards (6 by 9) are especially convenient. Staples sells half-sized clipboards made of recycled paperboard - or you can make them by cutting up thick FedEx envelopes and sticking a binder clip at the top. Remember to bring pens! 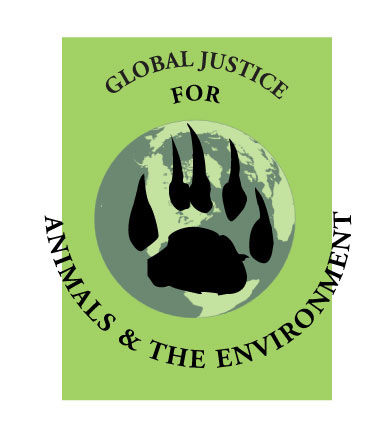 After the march, mail completed petitions to Global Justice for Animals and the Environment, 34-21 Crescent Street, Astoria, NY 11106. Join our email list for additional news,information, and opportunities to take action against TPP!